Here's where you can find an unforgettable venue for your big wedding in the Poconos (or special event) When you plan your special day with Poconos Best Weddings, our courteous and professional staff will ensures that you find a venue where every detail of your event is perfection. Our choice of spacious, elegant ballrooms with spectacular views are the ideal places for weddings and special events in the Poconos Mountains. Exquisite catering by experienced chefs will delight your guests. Each of our venue event staffs will help you plan your wedding to the last detail. We will place you in an attractive, newly renovated guest room for you and your guests. At Poconos Best Weddings, we understand how important your wedding is to you, and we're here to help you make it the kind of day you always dreamed it would be. Some can accommodate a large wedding party, and its elegant charm and unmatched views of the Mountains make them sought-after venue for intimate gatherings from weddings and graduation parties to bar/bat mitzvahs and sweet sixteens. Most have an adjoining pre-function area that affords a luxurious space in which to socialize before, after, or during your event. We have venues that can accommodate up to 450 guests for a large wedding reception or breakfast, luncheon or dinner event. Each has an adjacent pre-function area is ideal for registration, buffet set-ups, or mingling. 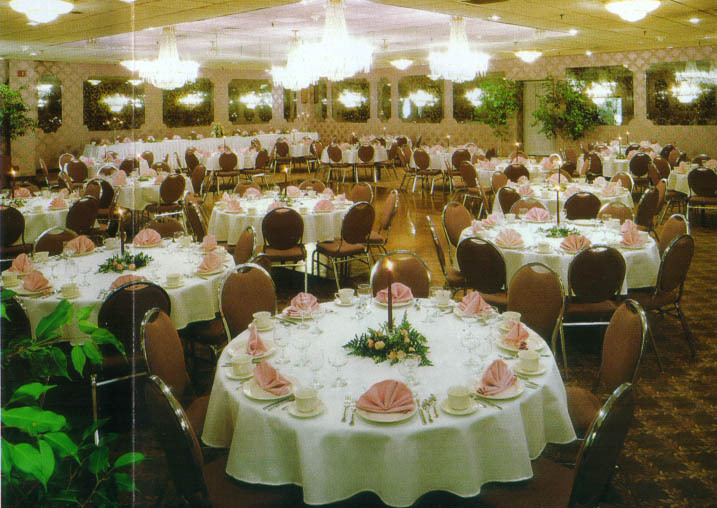 Downtown Pocono Inn delivers the finest in wedding and banquet facilities. With four different buffet and four different wedding packages they're sure to provide your party with a memorable experience. They also offer sit-down luncheon and dinner menus all with Hors d'oeuvres available to start the meal. Best for Locals or Those Planning To have Guest Stay over. Skytop Lodge With a 5 Star Rating and scenic vistas of the 5,500 acre estate as the backdrop for memories that will last a lifetime! The guests will be in awe of the beauty of your event and the skill with which the experienced staff handles even the smallest of details. After saying "I Do" in the Formal Garden, the guests proceed to the Veranda (South Porch) for an hour of cocktails. Some cocktail parties includes a wide variety of Hors d'oeuvres and a full open bar with the package.